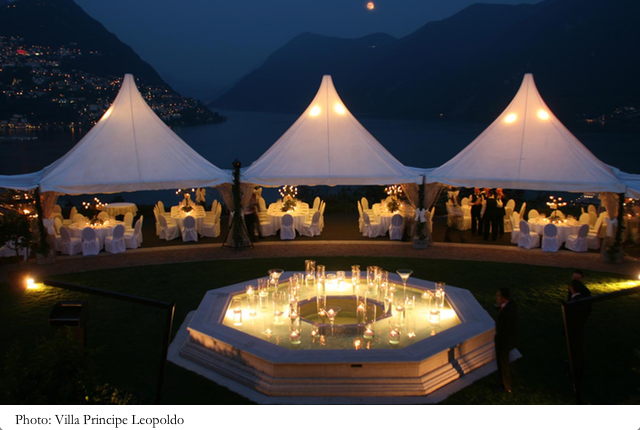 Are you organizing your Big Day and you’ re still looking for the best wedding location in Ticino? Did you know that in the Italian part of Switzerland, where lakes and mountains mix creating magical scenary, the Wedding Planners, have dream locations to propose for every wedding style? To be clear, Ticino is rich in beauty and amazing locations and although I’m an eternal lover from the wonderful location on Lake Como and Lake Maggiore – which I’ll discuss in the next few days – I have to say that in Ticino we also have the fortune to have magical and perfect places for every kind of wedding on the banks of one of the most beautiful Swiss Lake and important of Europe. Have you ever considered to marry in a medieval castle, with wonderful ruins as a backdrop to your special moment and completely surrounded by a stunning lake view? 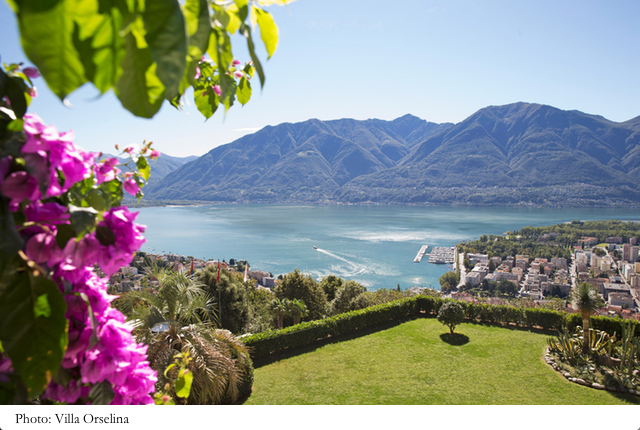 Then the first best location in Ticino for your wedding could be yours. Morcote Castle, was built by Visconti – Dukes of Milan – in 1450 and at 200m above the village of Morcote. It has a privileged and dominant position on the Lake Ceresio, and is surrounded by an area of untouched nature, where there are olive and vineyards that born fantastic merlot and other high-level wines. 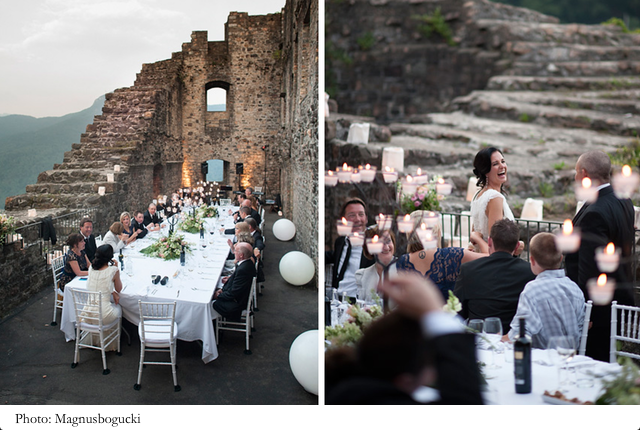 The Morcote Castle is one of the preffered wedding location by Wedding Planner in Ticino. It’s a special wedding location that has many areas where you can make and create magnificent scenery for a true fairytale wedding such as: the large park overlooking the lake, perfect for a romantic American style ceremony or an exclusive dinner to light candles for a few friends within the town ruins. Do you have an important guest list? 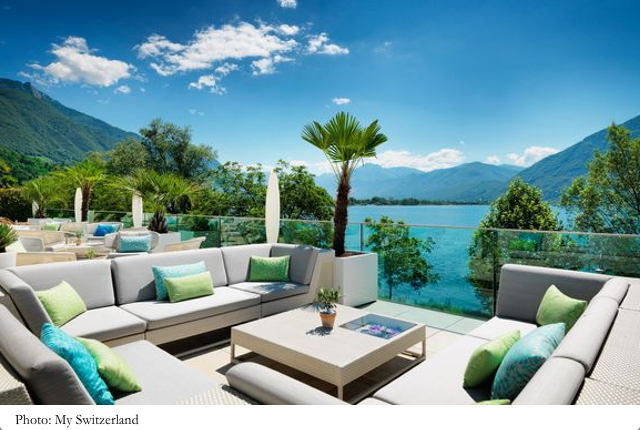 Don’t worry because this fabulous location in Ticino have a place during the wedding season that can accommodate up to 200 people and thanks to the effect of the crystal walls, with stunning view of the Lake Lugano even from inside. 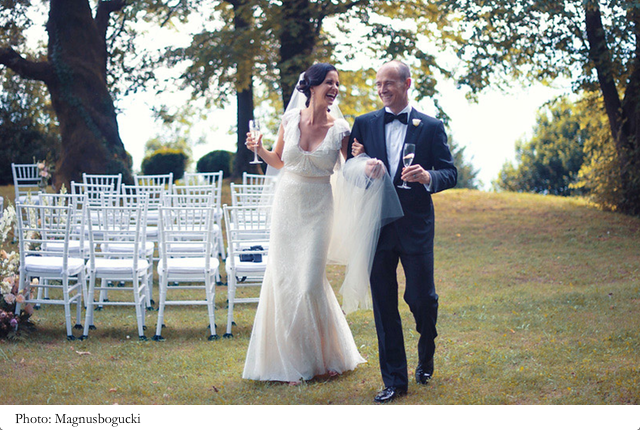 Do you want to organize your wedding in a luxury location, surrounded by a fantastic park that overlooks Lake Maggiore ? 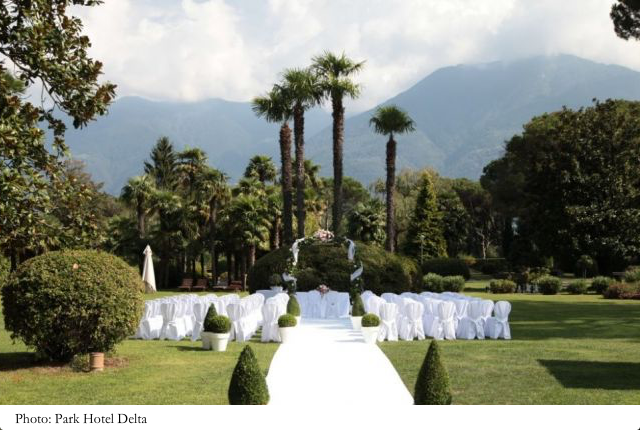 A good Wedding Planner in Ticino will recommend Giardino di Ascona in Ticino. 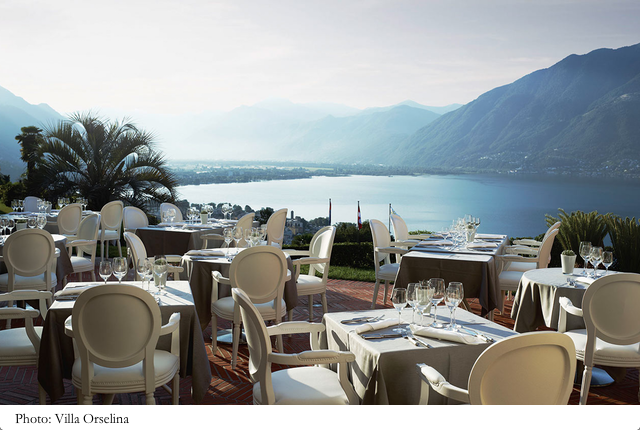 Giarino di Ascona is a wedding location in Ticino glamour and with style that mix lightness and a high-class service. This location is perfect for you if yuo want a wedding in classic and elegant style, where your guests can move and be surprised by a true elite service. 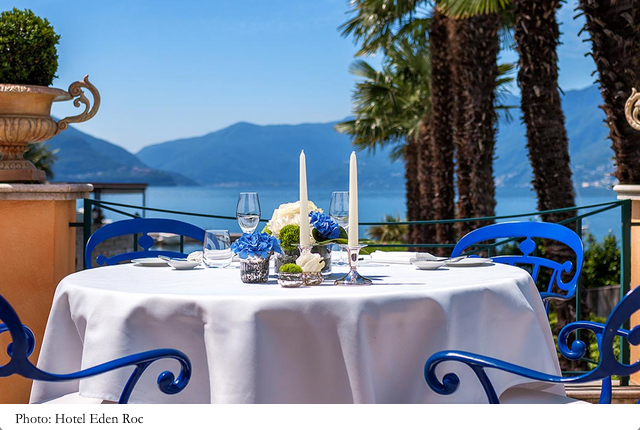 The Hotel has two restaurants but the highlight is definitely the Ristorante Ecco Ascona, awarded two Michelin Stars and led by the famous chef Rolf Fliegauf. A ceremony with an American style on the Lake makes you heart beat? 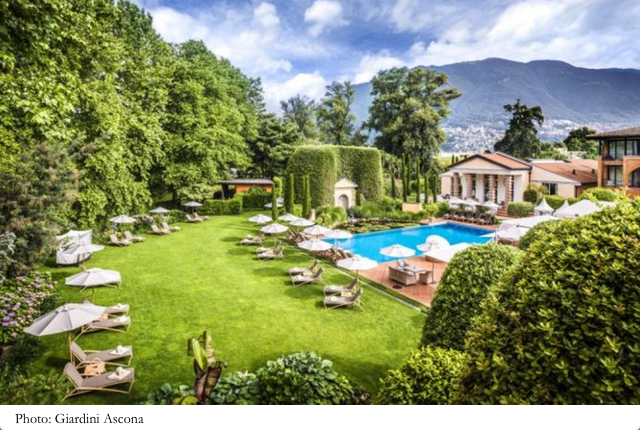 Then you should go to visiti Villa Orselina in Locarno, a a luxurios hotel, perfet for wedding locations in Ticino, which enjoys a magnificent panoramic view ofn Lake Maggiore. From relaxing happy hour in the mediterranean garden with spectacular view on the Lake to the exclusive dinner. At Villa Orselina your wedding will be an unforgettable experience. The building has been decorated harmoniously and elegantly, white and beige gived a relaxing atmosphere and is the perfect scenary for every wedding style. 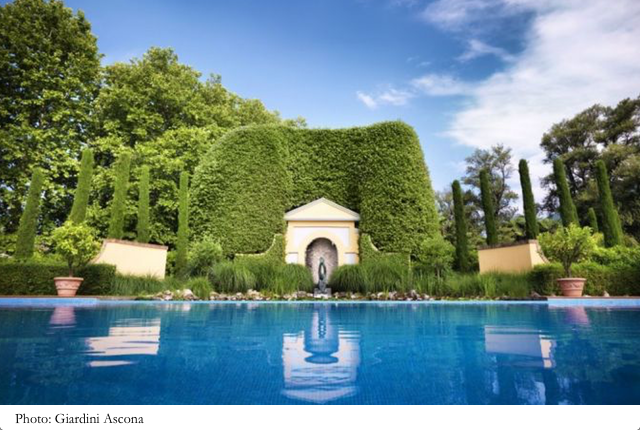 At Villa Orselina – the hotel where it’s allowed the “ sweet idlenesse “ – you’ll be pampered and you’ll enjoy the range of treatments offere by The SPA to relax yourself to the most important day of your life. Are you one of those brides with sparkling taste, you love colors and you’re looking for a special location for your wedding? 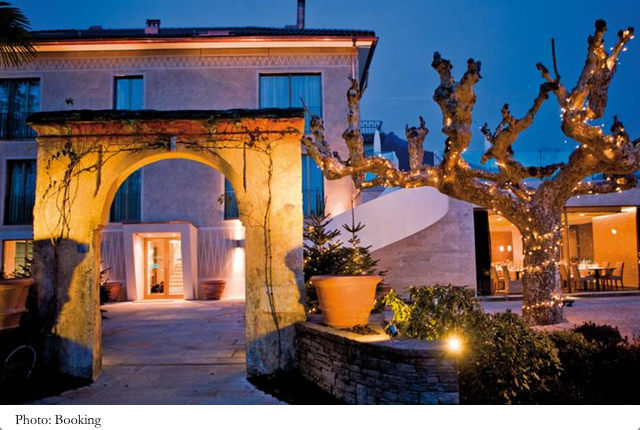 Listen to the adive of a Wedding Plannere in Ticino; Hotel Eden Ro cis perfect for you. It’s a small paradise with Mediterranean charm, where you can organize the wedding you’ve always dreamed of. 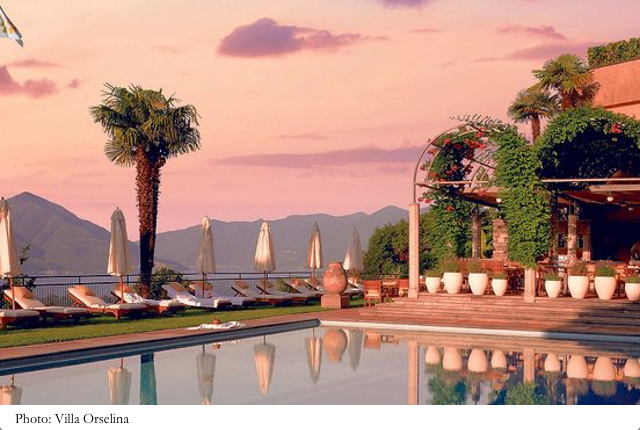 The Hotel Eden Roc is between tha Garden of Eden and the waves of Lake Maggiore. It’s a 5 Star superior and it was twice named the best hotel in Switzerland. A few minutes from the botanical garden of the Brissago Islands, the perfect set for you photo shooting or to arrange a perfect wedding ceremony. The success at the Hotel Eden Roc are the colorful places, chic and classic style – designed by the designer Carlo Rampazzi – The gastronomy of the highest level, the private beach on the lake and the wonderful deck where you can organize your arrival from the ceremony with an elegant yacht or you wedding happy hour. 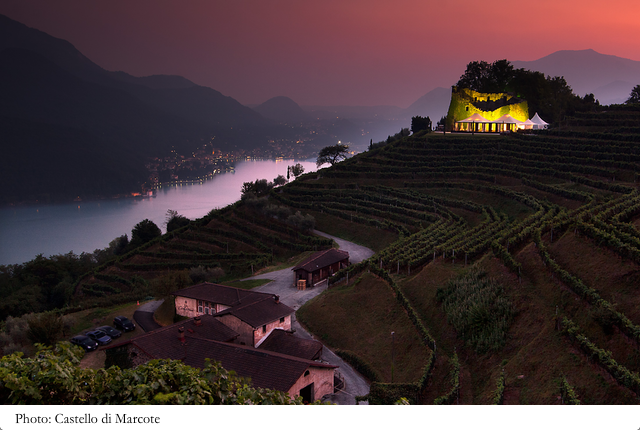 It’s a fairytale wedding location in Ticino, isn’t it? 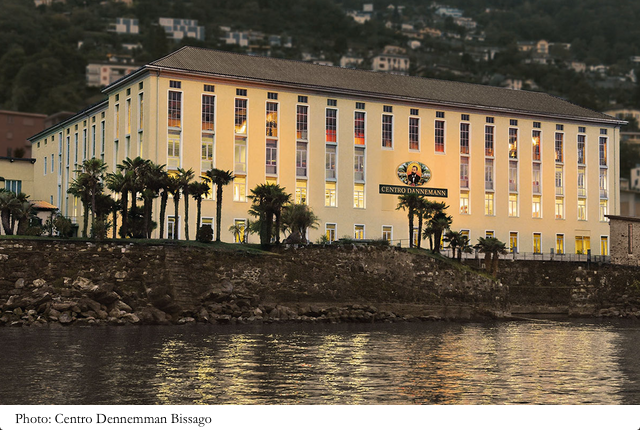 Inspired by the success of Cannemann center of São Félix Bahia, the Centro Danneman Brissago was founded in 2002. 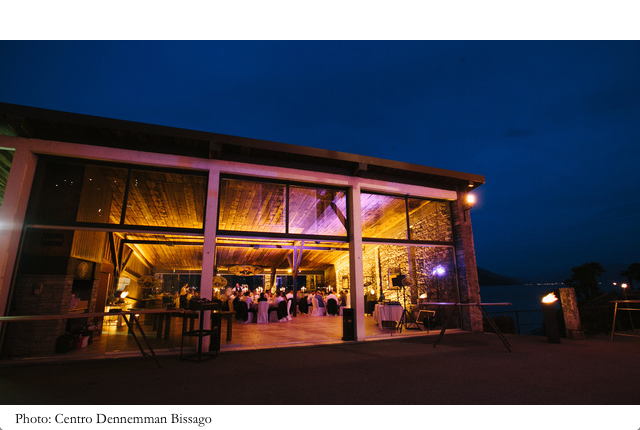 It’s a modern location – an ex cigar factory – a location on Lake Maggiore and with many spaces, it has the ability to host wedding receptions from 50 to 250 people. The building is composed of 3 bright rooms with beautiful lake view: Salão Dannemann, Salão Moods and Salão Mata Fina. There are also a romantic Grotto and two beautiful gardens for a total area of 1500 m² with panoramic view and a direct access to the lake. If you eant to organize a spectacular wedding on the shores of Lake Maggiore and you’re looking for a modern and charming location that have to surprise your guest, then the Centro Danneman is definitely the right place. The Park Hotel Delta Ascona takes few minutes from the beautiful center of Ascona and the shore of Lake Maggiore. It’s a fabulous hotel surrounded by nature of a beautiful park that is perfect for who like you dream an outdoor ceremony. The hotel is open full year and offers various solutions for you that are looking for the perfect location for your wedding in Ticino as well as two restaurants – one inside with elegant cut and one by the pool for the summer months – the opportunity to take advantage of the majestic park, where you can organize an unforgettable reception for you and your guests. 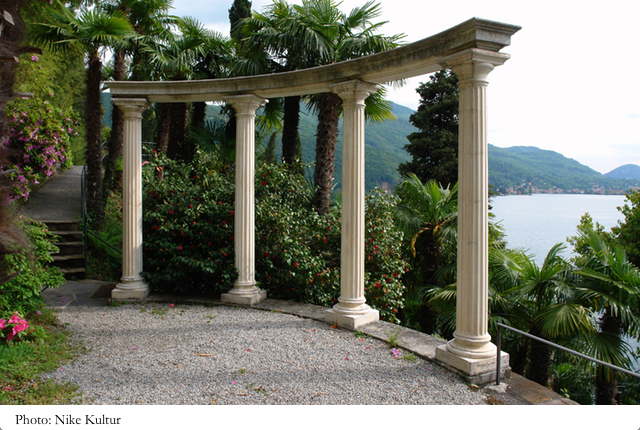 Have you ever thought to marry in a greek temple on the banks of Lake Lugano, next to a siamese teahouse or an egyptian temple? 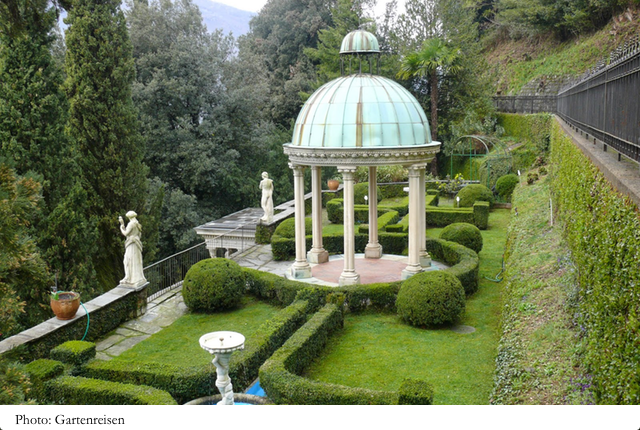 The Parco Scherrer i salso known as The Garden of Wonders, ans since 1965 belong to the municipality of Morcote. Prevoiously the Park was guarded by family Scherrer who dedided to exhibit the arts and the magnificence found of the textile merchant Arthur Scherrer. The Scherrer park is an exclusive location, it has charming spaces where you can organize a true farytale wedding, such as “The Indian House” where you can celebrate your wedding in a civil ceremony, ora the egyptian temple of Neferiti, reproduces faithfully to the originalo ne in Berlin. Unthinkable for a Wedding Planner don’t recommend this location. The Parco Scherrer is the location of the wedding dreams where you’ll have the opportunity to build your marriage on an exciting journey through time and space, qhere past and present, history and nature merge harmoniosly creating the perfect place to crown your dream. Since you were a child you have imagined a wedding where you wore the clothes of a princess? 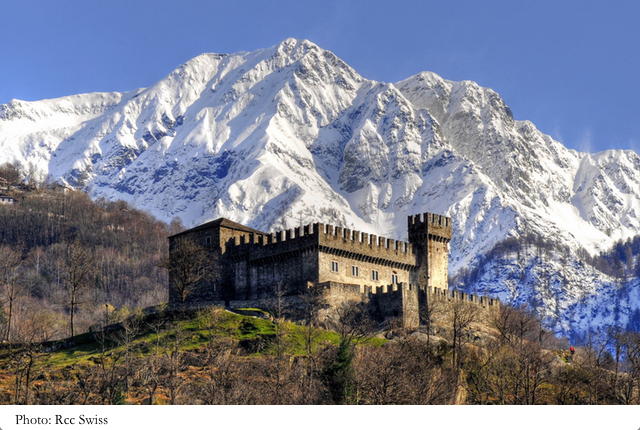 This prestigious building in the Renaissance style is located 230 meters above Bellinzona, it’s dedicated to you if you dream of a fairytale wedding like those of the most romantic movies. The Sasso Corbaro Castle has historical spaces that are perfect for your wedding, such as the inner courtyard, the fireplace room or the hall Benedetto Ferrini. What about the catering? No problem, The restaurant Sasso Corbaro – mentioned in the Michelin books and Slow Food – a service of the highest standing and personalized solutions will surprise you and your guests. 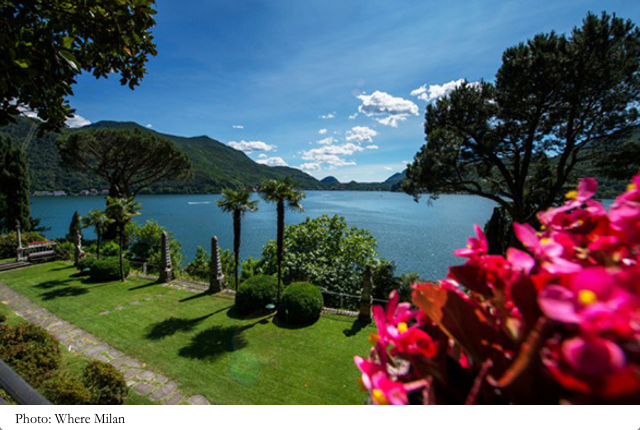 The Hotel Giardino Lago is like a precious Jewel on the shores of Lake Maggiore. It’s sublime and peacefull, a perfect paradise location for a relaxing wedding. 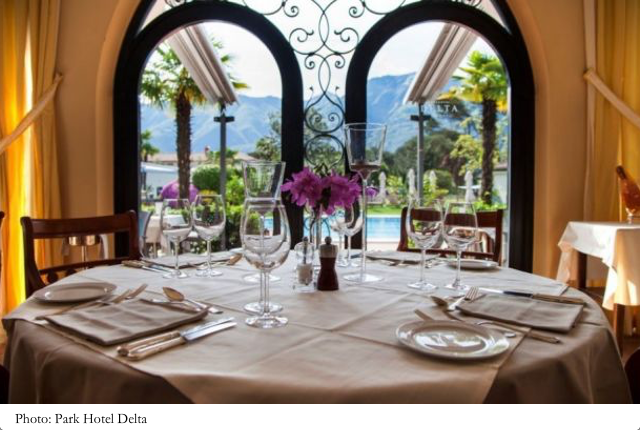 Giardino Lago, as well as enjoy a strategic location, has two restaurant where you’ll have the opportunity to taste food from different cuisines and where you can enjoy a high quality service for you wedding in Ticino. If you want to organize your special day in a luxury location and you dont’ want to make endless trips to reach the reciept place, I would like to reccommend Villa Principe Leopoldo, a private residence turnes into a luxury hotel 5 Stars, an accomodation situated at the top of the Collina d’Oro overlooking Lugano and its bautiful bay. 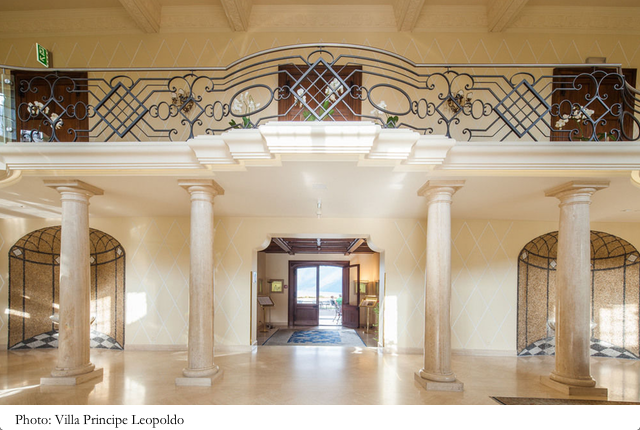 This residance, before being used as a hotel (1986),was a witness of one hundred years of history: has welcomed in its spaces, as residents, visitors and famous personalities of the middle-european nobility. 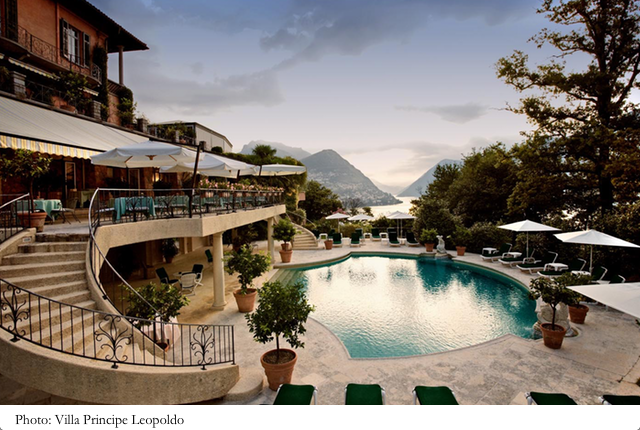 The Villa Principe Leopoldo is a princely residence and perfect for you if you want a dream wedding in Lugano. 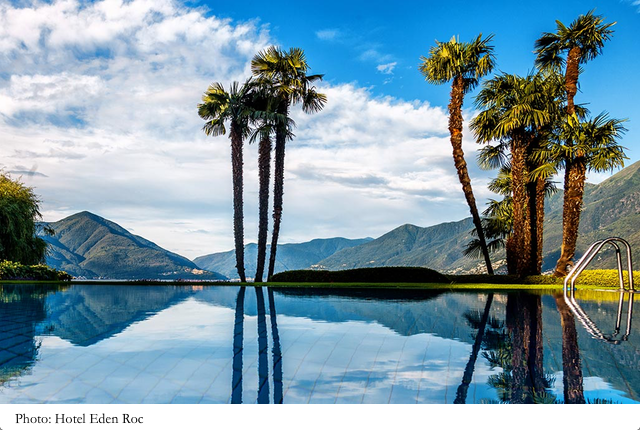 This location has elegant halls – six in total – magnificent panoramic terraces and gardens, this is certainly an ideal place that make your day special and unique..
Are you satisfied of this delighful tour of the beauties of Ticino? 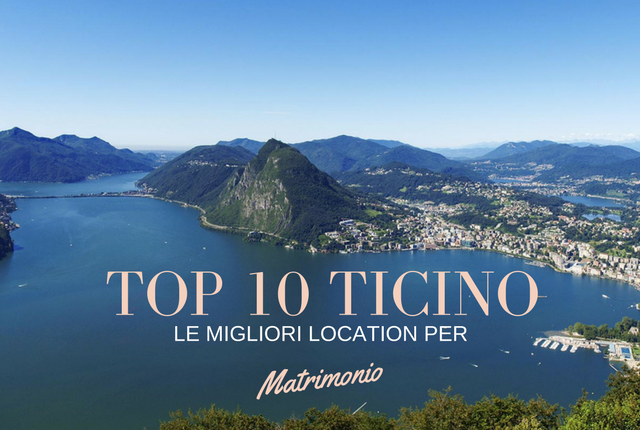 I hope that one of those wonders in the right location for your wedding in Ticino and it can be the starting point of your fairytale wedding. If you’re unfamiliar with the area and you want to be constantly udated on the best suppliers to organize a perfect wedding in Ticino, subscribe to my newsletter. Would you like to tell me about your marriage? I offer 30 minutes for free consulting where we can discuss on it.